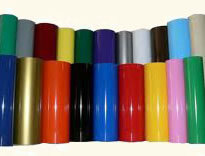 Tape Technologies, Inc. Styletech Intermediate vinyl is available in a wide color range to meet any customer requirement. Our films are softer than other calandered products and provide you with the highest gloss available in the industry today. Styletech Intermediate vinyl has lower shrinkage and better color stability than other intermediate films resulting in up to 6 year durability in some colors. These films provide your customers with excellent cutting and weeding due to the balance of a specially formulated acrylic adhesive and a tighter formulated release liner. Small characters process better and you never lose registration because of letters moving on the release liner. 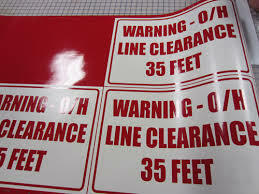 These features allow faster more reliable cutting in a wide variety of colors to meet the needs of both the sign shop and the final customer.